FRANKFURT -- Audi's global vehicle sales increased by 10.9 percent to 123,600 units in November, helped by strong growth in China and the United States. Audi said demand in the United States was was boosted in part by higher demand for larger vehicles. "Audi is growing clearly faster than the U.S. market as a whole, especially in the prestigious full-size class," Luca de Meo, Audi's sales chief, said in a statement on Monday. Audi is expanding its diesel range in the United States to include TDI versions of the A6, A7, A8 and Q5 models in 2013. Diesel-powered versions of the Q7 and A3 models, which have been available in the market since 2009, now account for around 30 percent and 50 percent of sales respectively, Audi said, adding that this was higher than forecast at their market launch. Deliveries in the United States increased 24.4 percent to 12,067 in November. In China, Audi’s largest market, brand sales rose 25.9 percent to 37,600, making it Audi’s most successful sales month ever in the country. The automaker said the increase in demand was driven mainly by the locally built Q5 and A6 L models. Audi's sales in Europe fell 1.9 percent to 58,750. Germany, Audi's No. 2 market, saw sales fall 4.3 percent to 24,023, while in the UK, the brand's fourth-biggest market, sales were up 7.7 percent to 8,178. 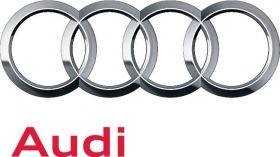 Audi counts Russia in its European sales numbers and the brand's volume in the country grew 62.7 percent to 2,930. Sales were down 14.3 percent in Spain, 18.9 percent in Italy and 11 percent France. Audi's November growth was slower than rival BMW. Sales of BMW-badged cars rose 26.4 percent to 145,452 last month. Mercedes-Benz brand volume was up 5.7 percent to 120,346. Audi still lags BMW in year-to-date sales but is ahead of Mercedes. Audi's 11-month sales are up 12.7 percent to 1.34 million, while BMW-brand sales rose 10.9 percent to 1.38 million. Mercedes brand sold 1.19 million cars, up 5.1 percent.